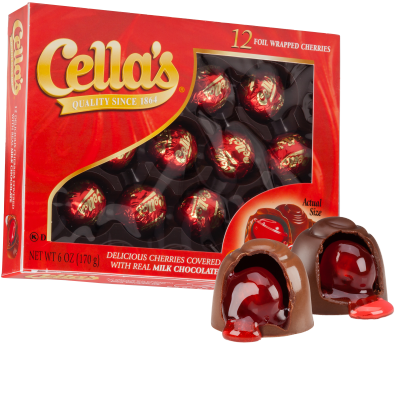 Pamper your sweet tooth with Cella's chocolate-covered cherries - upscale, liquid-filled treats available in decadent milk or dark chocolate varieties. The plump cherry offers a classic "snap" when biting into it, and is accompanied by a 100% liquid center (the only brand offering such a feature!). 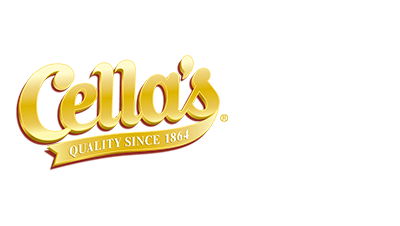 A delicious combination of whole dried cherries and rich dark chocolate, made with real fruit. These whole dried Montmorency tart cherries are covered in dark chocolate made with real cocoa butter flavorful West African cocoa beans.